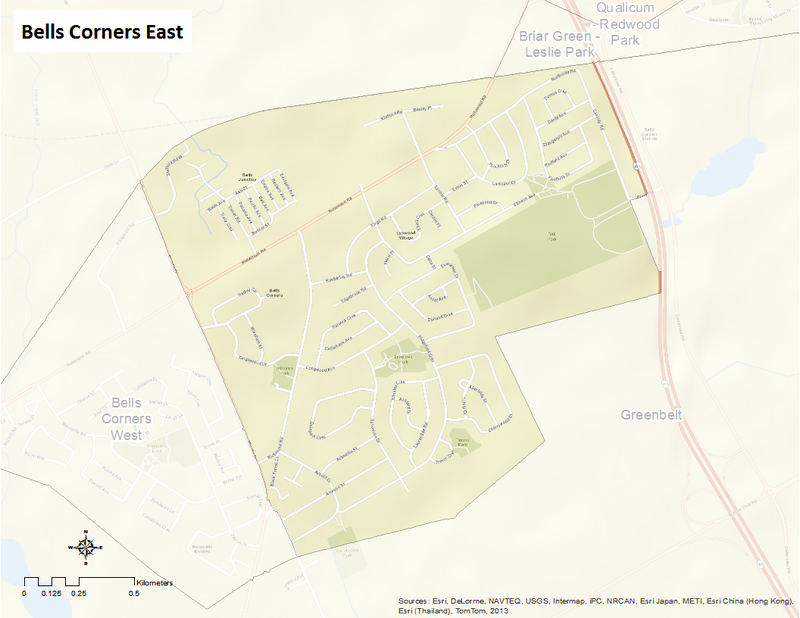 Bells Corners East is bounded by the Greenbelt to the north and south, Highway 416 to the east and Moodie Drive to the west. Originally named after Hugh Bell, Bells Corners East was mainly rural until the 1900s. By the 1950s, the neighbourhood had become a commercial center for the outlying rural areas. The area was part of Nepean Township, and later the City of Nepean until amalgamation with the City of Ottawa in 2001. Here’s an infographic that describes Bells Corners East as a Village of 100 (2011 data).